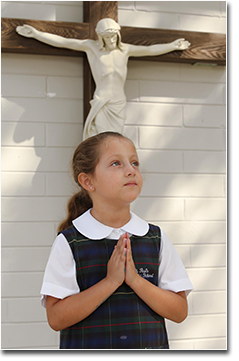 We are a proud member of the Diocese of Orlando’s Catholic education system. St. Paul enhances our students’ spiritual formation because our Catholic faith is interwoven throughout our curriculum. 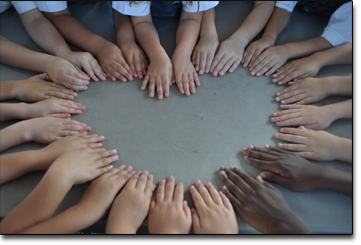 Every teacher has the added responsibility of modeling moral, Christian behavior, as well as providing students with the tools to handle adversity and peer conflict in a safe and loving environment. We are fully accredited through the Florida Catholic Conference (FCC). 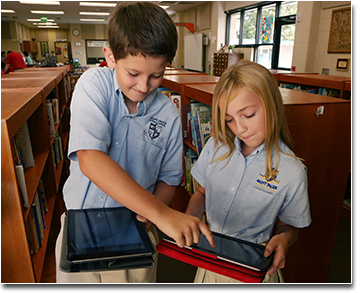 St. Paul Catholic School, a Eucharistic Community, educates students spiritually, intellectually, physically, and morally to reach their full potential through Christ. We educate our students’ hearts and minds, helping them grow in confidence and self-discipline. We are a school of academic excellence that works to provide each of our students with the 21st century skills they will need to be successful in life. We partner with our parents, the first teachers of our students, to nurture our students’ God-given talents. St. Paul is a school of academic excellence. Students are exposed to a variety of learning experiences that encourages development of the whole child and provides opportunities for success and preparation for high school. We are an educational community where students receive individual attention, are expected to think critically and are encouraged to develop successful decision-making skills. Faith is integrated into everything we do at St. Paul Catholic School. It is more than a subject. It is the foundation and structure of our knowledge, wisdom and values. We expect that through their faith formation our students will enter the next phase of their lives with the maturity and leadership to excel in service to God through our rich Catholic tradition. Our faculty receives catechetical training through the Diocese of Orlando. They live their faith every day and are the face of Jesus for our students through their words and actions. 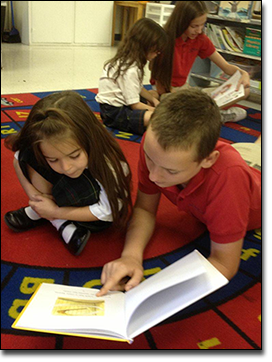 At St. Paul’s, students are offered many opportunities to grow in their faith. Students from PK- 8th grade are given opportunities to provide service to our community and participate in active mission collections. Our students are afforded the opportunity to learn in a safe, secure and nurturing environment. We have a positive relationship of mutual respect among students and staff. We are blessed to have community and parental involvement in many of our activities and have an effective communication system in place through RenWeb. St. Paul Catholic School is a safe and secure campus. The perimeter of the school is enclosed within walls and safety gates. All of our faculty and staff have fingerprint clearance through the FBI.